A ‘Harry Potter’-inspired wizarding pub complete with moving pictures, levitating candles and wand-operated beer taps could be opening in London, if a fantasy fan’s Kickstarter campaign receives enough support from the franchise’s legions of fans. Entrepreneur Matthew Cortland hopes to open a “wizarding pub” in London called the Cauldron Wizarding Pub & Inn in March 2018, and will launch a Kickstarter campaign to raise funds on 26 June – the 20th anniversary of the the publication of Harry Potter and the Philosopher’s Stone – until 31 July – Harry Potter’s fictional birthday. Among his many ideas for the fantasy pub are voice- and touch-sensitive magic wands to operate the lights, beer taps, and other technology around the pub, using the “internet of things” to create an immersive magical world inside a “small and shabby looking pub”. Other intentions include auto-refill technology, candles that float in mid-air using magnetism, as well as moving photos on the walls, mirroring the famous talking pictures of Hogwarts, along with food and drink inspired by the wider fantasy genre, with Cortland also taking inspiration from fantasy authors J.R.R Tolkien, and C.S. Lewis. 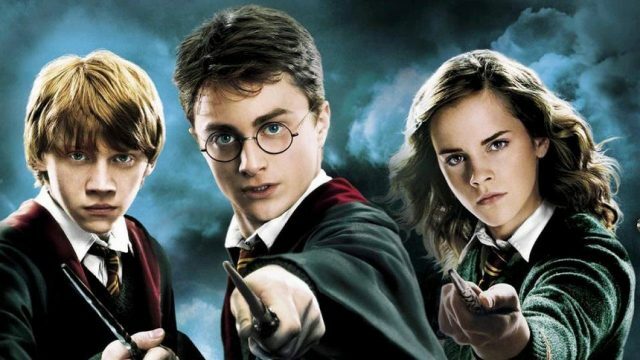 However despite its magical ties to the Potter world, the pub will carry “no direct reference or use of Harry Potter, Lord of the Rings, or Narnia specific terms” due to “obvious trademark and IP reasons”, Cortland told Business Insider. Cortland is aiming to raise $500,000 (£389,200), and also to get fans on board in helping to brainstorm ideas, design, and construct the pub, with an inn, using “magic wands” instead of room keys, also in the offing if enough money is raised. Further plans include welcoming school trips and a book donation programme, with visitors encouraged to bring with them a copy of their favourite childhood book, which will be donated to a classroom in need through the Harry Potter Alliance charity. Those that back the project will benefit from a range of incentives, from laptop stickers, pint glasses, and bookmarks to having your own moving photo hanging in the pub, or access to the pub’s secret bar. “Premium” incentives also include inventing a “magical cocktail,” naming a snug, or renting the pub for an evening. The location of the pub is not yet confirmed, with funding the first step. Hope it happens really looking forward to it. Hope children allowed in. Hope to meet the man down the pub who sells Hagrid the dragon egg etc.